From Prague, we travel west of the City. After about two hours, we reach our destination – Karlovy Vary. There we park our minibus and proceed on foot to explore the wonders this spa town. We stroll through the colonnades and have lunch. After visiting a traditional glass factory, we return to Prague. 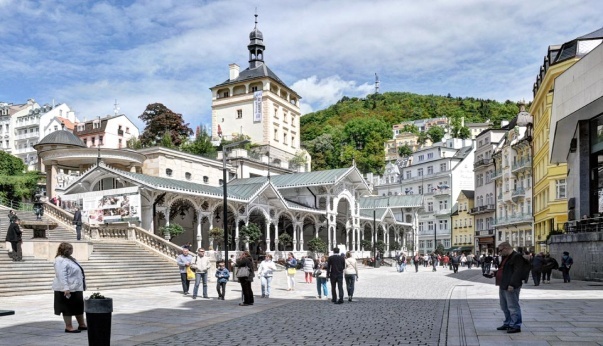 Karlovy Vary (more familiar in the past in its German form, Karlsbad), the leading Czech spa, straddles the beautiful narrow Teplá Valley at its junction with the Ohře. (The main spa area is closed to traffic.). The town was probably founded in 1348 by Emperor Charles IV, who is said to have discovered the hot springs while hunting in the area. In fact, however, there is evidence that the springs were already known at that time. 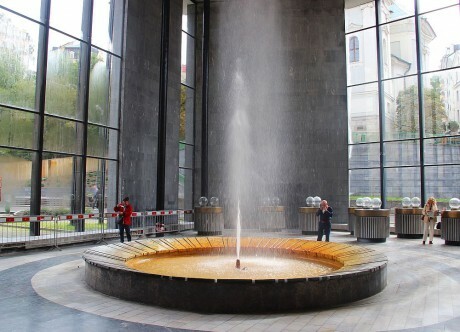 Karlovy Vary owes its international fame to its mineral springs. There is a total of about 60 springs, but only 12 of them are being used. The springs differ only in temperature and in their greater or lesser content of free carbonic acid. The powerful healing effects of the water are the result of the high concentration of various minerals in the solution. Drinking local water is particularly effective in the treatment of disorders of the liver and gall bladder and diseases of the stomach and intestines. 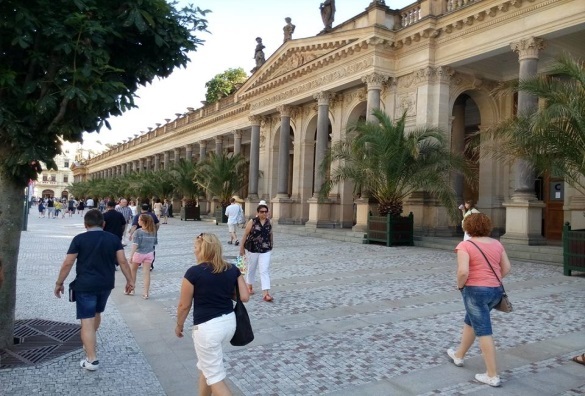 There are also several colonnades in Karlovy Vary – the most famous being the Mill Colonnade, the Orchard Colonnade and the Market Colonnade. The Moser Museum is situated on the western side of the town. This modern exposition offers an absorbing tour, mapping over 160 years of the glassworks’ history. The tour presents famous owners of luxury Moser crystal products, together with items ranging from the oldest examples of glasswork to contemporary collections. An interesting film about the beauty and uniqueness of the glassmaking craft is part of the tour. The exhibition is also supplemented by 6 documentaries in 6 international languages. Audio guides are available, allowing visitors to choose their own individual routes and pace.